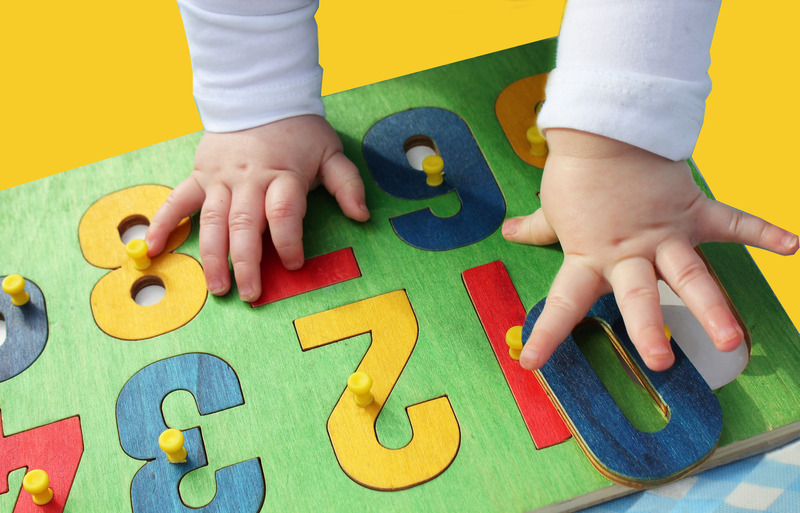 Our preschool classes focus on preparing your child for their entry into school. Darnall’s Preschool and PreK classes provide a curriculum that is not only focused on understanding and appreciating your child but the development of your child’s potential. Our program is filled with investigation, exploration, and discovery, where active and enthusiastic children can refine and expand their skills and knowledge. Through intentional teaching, purposefully-designed learning environments, and enriched activities, our teachers ensure your preschooler will have meaningful learning experiences that lead to success in school and in life. At Darnall School, we realize that loving and learning go hand-in-hand. We use ‘ages and stages’ tools for measuring child development. We strive to have the most comprehensive learning and supportive environment possible. We want your pre-schoolers to be happy, safe, and receive a well-rounded foundation for the future. Learning takes place all day as your child interacts with their peers and teachers in small and larger groups. We provide opportunities to have fun and discover new skills in appropriate learning centers as well as at recess play outside. Pre-schoolers are constantly increasing their vocabulary. Children enjoy the library center with age-appropriate books as they have opportunities to share and retell their stories. Each week, learning a new letter with fun experiences gives them a strong foundation for reading and writing. Children are encouraged to ask questions, share ideas, explore their feelings and talk. They begin the process of simple sight words and letters as well as making sentences in conversations. Sign language is taught as a second mode of communication. An introduction to Spanish is also taught with simple numbers, colors, and basic communication. Children are natural explorers! We help them explore their world by providing science centers for growing their own plants, feeding our fish, watering our flowers and experiencing science experiments and projects. The children enjoy their classroom sand and water table by seeing items float and sink and finding hidden treasures in the sand. We encourage your child to use their own problem-solving skills in various situations. We encourage counting and identifying numerals. Each week a new number is added to our curriculum. We count, add, and take away to learn math techniques. Patterns, shapes, and measuring devices are also for learning experiences and solving simple math problems. Children will practice sorting objects and learn how to sequence items. The blocks center is utilized daily to build roads, towers, garages, buildings, and many more imaginative structures. Problem-solving skills are worked on daily by using charts and communication. Children are beginning to learn how to accept independence and how to play with their peers and take turns. Our dramatic play center is a favorite. Pretending, dressing up, cooking and having tea parties are always fun activities you can observe in our rooms. At Darnall School, our pre-schoolers practice their motor skills daily. 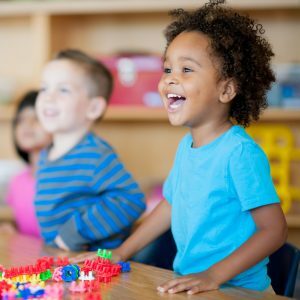 Skills such as feeding themselves, learning to hold pencils, creating colors and working puzzles find tune each other the fine and gross motor skills. Our teachers support this development by providing appropriate material such as play dough, crayons, markers, colored pencils, and various puzzles. Your children run climb, and jump outside, throw and kick balls, and dance with or without music. Our pre-schoolers are active! We practice walking in a straight line, walking backward, jumping through hoops and balancing on one foot. They even play musical instruments and enjoy making their own music as they learn. Darnall School completes the development process in making sure your child is ready for Kindergarten. Our curriculum is designed around weekly themes numbers, and the alphabet with hands-on activities. We use ages and stages for measuring the growth and development as being age appropriate. We are happy to say “A Darnall K-4 graduate is welcomed at all schools,” especially those in our immediate area where we enjoy a close working relationship with them. Your child will interact with staff and peers to develop a rounded foundation for the future. Learning centers are expanded, outside age appropriated actives are provided at recess, and independence is taught. The Pledge of Allegiance to the Flag of the United States of America is a vital part of our early morning routine. Arts and crafts are planned daily and are displayed on the board in the classroom as well as in the hallways. Literacy is focused on daily. our K-4 children begin to put letters together to make words and words together to make sentences. Writing skills are taught as your child learns to write their name. Children beg to recognize sight words, identify upper and lower case letters and letter sounds. Their vocabulary will expand and conversations will become an important part of learning. Singing and music are important areas of our program. We read and learn about our stories, have puppet shows, create pictures from our stories, and role play. We learn how to check out books from the real library and select appropriate books for our class. Sign language is taught in a variety of actives. Spanish is also introduced by learning to count as well as identifying colors and simple words. Child are very inquisitive and we like that at Darnall School. We take questions and your child’s natural curiosity and turn them into learning experiences. Children make observations chart weather daily and identify, and maintain a science area with plants, fish, and flowers. Science experiments are recycling are part of our program. They learn to appreciate nature by taking nature walks and making collages. Math skills come alive as our children count and compare objects and groups of objects. Patterns and measuring are used in play actives with a sand and water area filled with supplies for practicing. They begin adding and subtracting by counting blocks and objects added or taken away. Skills are reinforced in dramatic play by counting cupcakes, having tea parties, and shopping for groceries. Friendships are very important at this age. Many children in our program have been together since 6 weeks of age and they hug, hold hands and express their feelings to each other. They love new friends and new items in their rooms. They learn how to work and play together in everyday living skills. One week is dedicated to the study of our state, Arkansas and the various facts that make us unique. By this age, our children have developed good control of their fine motor skills by allowing creative coloring to come alive, buy putting on their coats as a routine instead of needing help, by comfortable use of silverware at mealtime and by using age-appropriate scissors. Learning happens all day and not just at circle time. Recess is a time to run, jump, race, play games, and climb. Fun activities such as parachute, hula hoops, balls, bubbles, sidewalk chalk, fence painting, and basketball are all enjoyed as part of our outside program. We even have story time in our fun clubhouse.